One of five lookouts remaining on the Mt. Pinos Ranger District of the Los Padres National Forest on the southern California coast, Thorn Point Lookout dates from 1933. The 14′ x 14′ L-4 cab with catwalk on a 20′ H-braced tower is in near-original condition with an early telephone intact. During World War II it was staffed 24 hours a day and a ground cabin was added for the off-duty observer during 12-hour shifts. 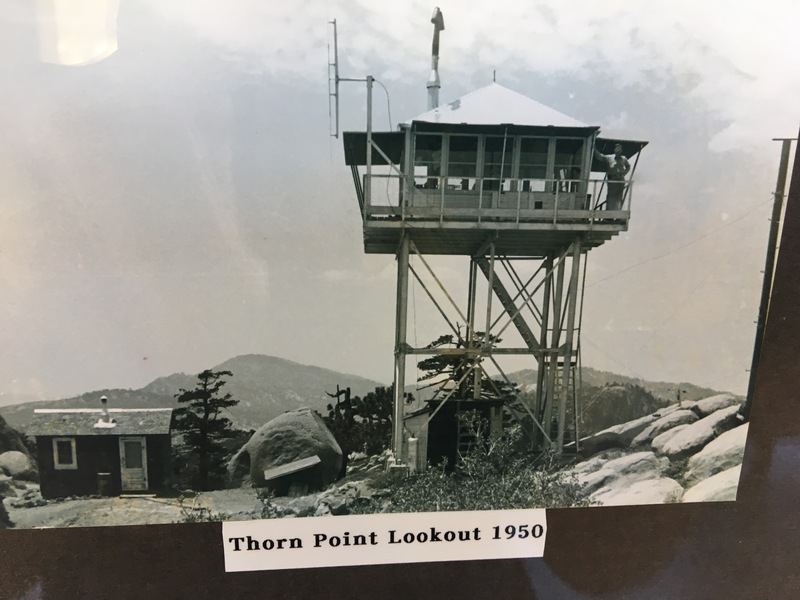 Located within the Sespe Wilderness near the Condor Sanctuary, the lookout has been used as a condor monitoring station.